Guinness World Records has published on its website and social networks the official announcement of certified world record for the biggest mass ascent with 408 balloons taking off in an hour. A record was achieved on July 31st, 2013 between 7:35 pm and 8:35 pm on the Chambley Planet’Air airfield (Meurthe-et-Moselle / Lorraine / France). For many years, Lorraine Mondial Air Ballons® has offered the aligned takeoff of hundreds of balloons (357 in 2011) which was already a worldwide première. 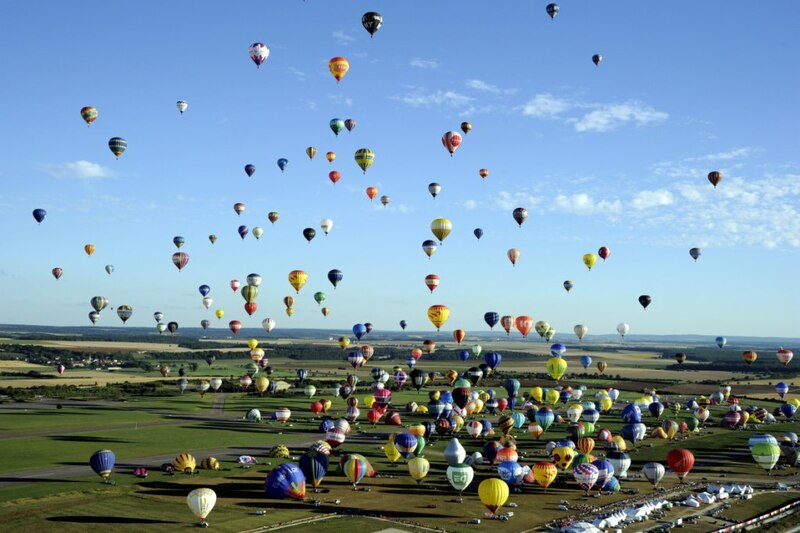 Through this recognition, the Guinness World Records formalizes that now Lorraine Mondial Air Ballons® is the biggest hot air balloons gathering in the world, in front of Albuquerque International Balloon Fiesta (New Mexico / USA). The 14th edition with the slogan “Nowhere else” will take place from July 24th to August 2nd, 2015. An honor that Pilâtre de Rozier Organisation shares with the Regional Council of Lorraine, the main partner, and 175 companies and communities supporting the event!